Have you heard of the Hello Kitty Spa in Dubai? 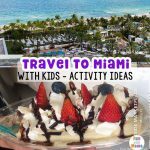 It is a must see place for kids in dubai. 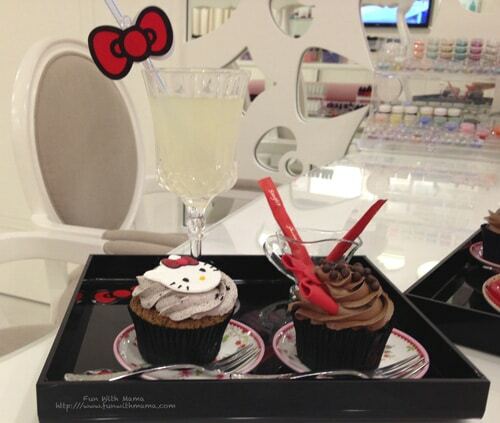 Hello Kitty Salon Spa in Dubai mall is a heaven on earth for a girly girl! 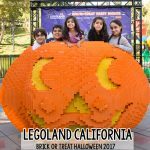 From the themed Hello Kitty decor, gorgeous kids make up, a signature Hello Kitty hairdo and to the amazing pamper session this place is a little girls paradise. With such a unique concept can it really get any better than this? 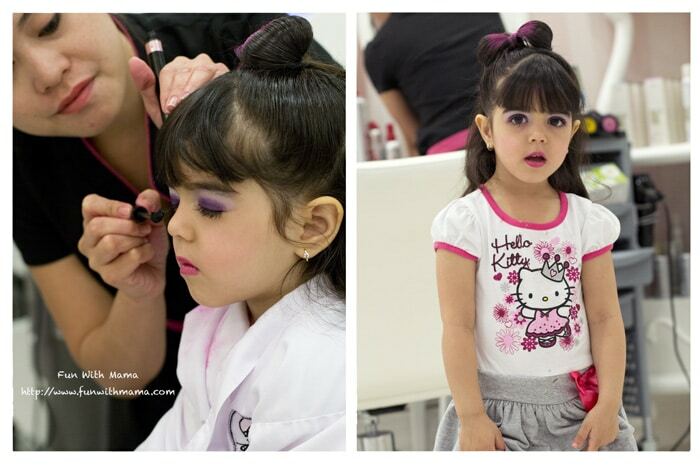 Read on to see how our day went at the Hello Kitty Salon for little girls and moms. We called in the day before to make an appointment for my daughter to get a manicure, pedicure, make up and hairdo. The morning of our Hello Kitty Salon pamper session, my daughter Aalz (3 years old) decided to wear a Hello Kitty dress and Hello Kitty Crocs to show her support for the theme (more like her excitement!). 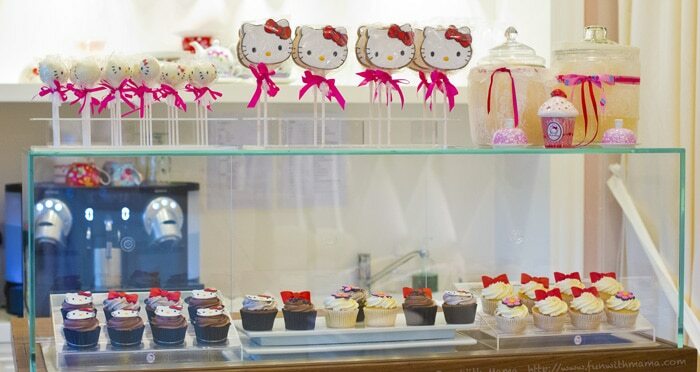 When you walk in you are greeted by a beautiful array of Hello Kitty cupcakes and treats. You are asked here if you would like to purchase any of these adorable items which they will deliver to you during your treatment. A was then taken to a room and dressed up into an adorable little Hello Kitty Spa Gown. They first started with her hair. 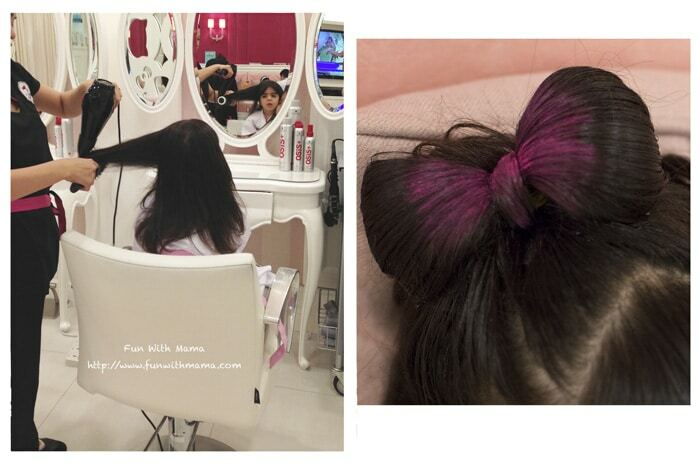 They rearranged her hairstyle and turned her hair into a Hello Kitty Bow. Then they asked her which colors she would like to do her make up in. She promptly chose her favorite color at the time: purple. I think the make up was probably Aalz favorite part. She sat there very still. You can see the concentration in her face. My heart was filled with glitter and warmth the whole time we were there. I think I was permanently smiling! A had never worn make up outside of this pamper session so I think it was a real treat to get to do something unusual for her and unique to her experience at the Hello Kitty Spa. The lady then asked her to choose an aroma scent for her pedicure treatment. She chose the lavender scent mostly because it was purple. While they got her manicure and pedicure station ready they gave her the treats we ordered earlier. She sat there and looked around while taking in this beautifully designed spa. I have never seen such a beautiful child friendly spa! When they were ready with her station, they asked her to choose a nail polish color. She chose pink this time. It is important to let your child make these decisions herself. It allows her to trust in herself, be more independent, and feel more in control of the process. At this stage I was in full mamarazzi mode but in my defense look at those tiny little fingers and toes… how could I not be? While A got her pamper session I opted to get one too, strictly because I wanted to do some mother daughter bonding. (In my defense though we are all little Hello Kitty girls at heart!) No really, it’s because I wanted the Hello Kitty cupcake and the little Hello Kitty themed tea cup! When you are done you can purchase some themed make up to remember your spa experience by. 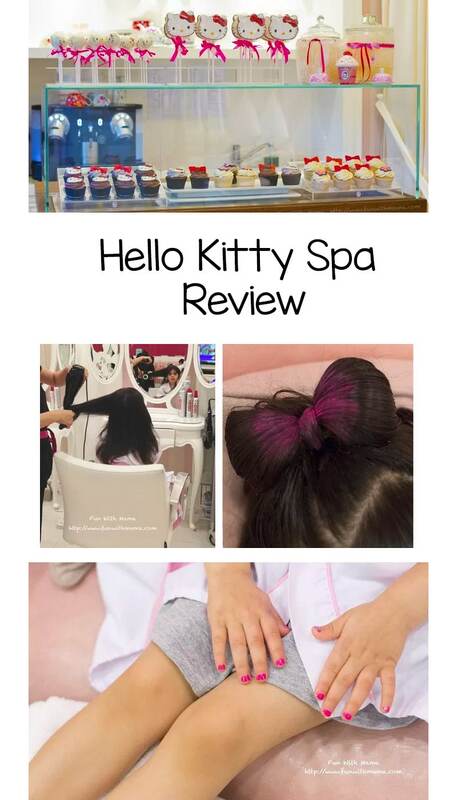 What did I think of our experience at the Hello Kitty Beauty Salon? A got to get all dolled up while I got to watch my child beam with excitement, I could see her curiosity and the wonder in her eyes. My heart was filled with warm all consuming love every second of it. This is something I will always find so scary but amazing about motherhood… there is more power in every single moment with your child. While they explore, while they hug you, and while they smile you feel it more infinitely than any moment ever before that one. I think I couldn’t have enjoyed myself better even if it had been me at 3 years old experiencing this first hand. The staff was warm and treated us really special. We had a great experience here and it was more than I could have wished for in a mother/daughter spa session. 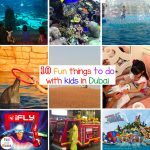 If you are going to Dubai and have a little girl with you I would definitely not hesitate to book an appointments here. Where is the Hello Kitty Salon located ? 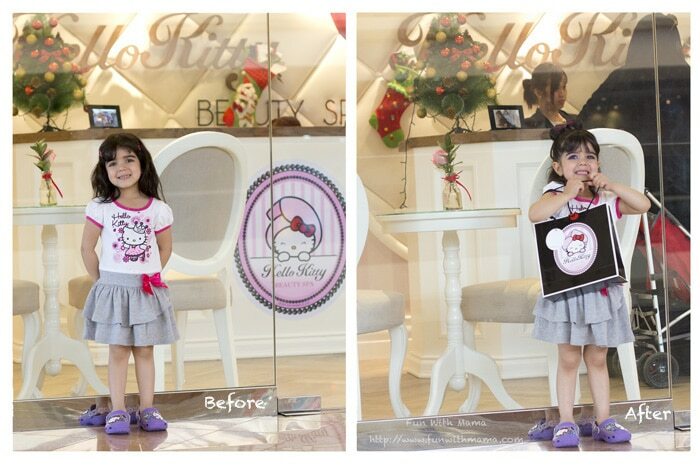 Hello Kitty Spa is located in Town Center Jumeirah Beach Road in Dubai. The Incredible Things website has some beautiful images of the decor inside. 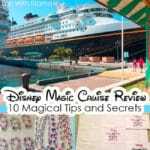 If you do decide to go here, I hope your daughter and you have most special magical time together just like we did! We can all do with a little heavenly sprinkle of glam! Have you been to the Hello Kitty Spa in Dubai? What did you think of your experience? Let me know on Facebook, Instagram, or Twitter!